Penny is a criminal practitioner with vast experience of defending a wide range of criminal allegations. She qualified as a solicitor is 2009 practising regularly in the Police Station, Magistrates Court and Crown Court. More recently Penny has practised as a Solicitor Advocate at the Crown Court defending criminal cases including drug conspiracy, violence, burglary, fraud and sexual allegations. She was called to the Bar in 2017 and continues to practise exclusively in crime. Penny also accepts instructions from soldiers facing allegations before the Military Court. She has previously defended at Catterick Court Martial, most notably securing an acquittal for a highly ranked soldier following a 5 day Trial. Penny is interested in all criminal cases and is known for her preparation and client care. Regina v Burnett (Newcastle Crown Court) – instructed solicitor – represented 87 year old male charged with historic sexual offences dating back to the 1970s when he was a teacher in an approved school. 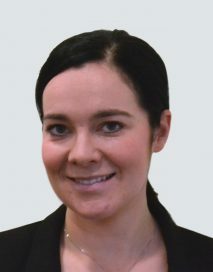 Regina v Dodds (Newcastle Crown Court) – instructed solicitor – represented defendant in a high profile case who was charged with making explosives. Regina v Marshall (Newcastle Crown Court) – secured an acquittal for a defendant charged with a domestic Grievous Bodily Harm. Regina v Dodds (South East Northumberland Youth Court) – successfully defended a young girl aged 12 years charged with serious sexual offences against another young girl.